On September 27th the band marked their anniversary, officially, by digitally releasing their Record Store Day single (consisting of the tracks, 'Rock And Roll' and 'Friends') as well as two new playlists - Led Zeppelin x Led Zeppelin and An Intro To Led Zeppelin. A press release issued by the band listed the releases, what the statement did not say, though, was that on the same day their 50th Anniversary Interviews album was also published, available to stream online. 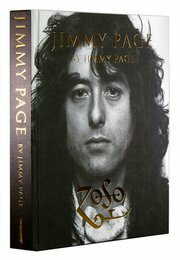 The new Led Zeppelin release is comprised of 34 interview clips from the surviving band members. Reflecting back on their career, the various recordings see Jimmy Page, John Paul Jones and Robert Plant talking about specific songs and albums, the philosophy of recording albums, writing lyrics and more. Stream the new Led Zeppelin release from Spotify.